I know quite a few people were excited and eager for the Lavshuca video! So here it is ladies! Lavshuca, like T’estimo, Tiffa, KATE, etc..is disturbed by Kanebo. You’ll do well to remember the name Kanebo because they put out some fantastic cosmetic brands! Lavshuca falls into my favorite group and I adore it! The brand is girlish and sweet and packs a whole lot of wonderful into such delicate packaging! I haven’t run across many items in the line that I don’t love but aside from those the rest have been amazing in the long run and the products are aces with the Muse! 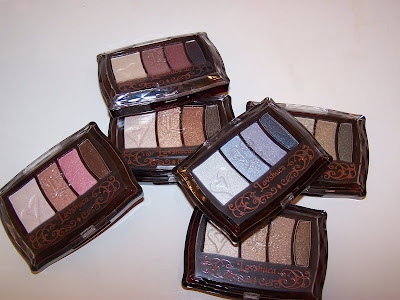 On the top of my list of Lavshuca products would have to be the Eye Color Select palettes. 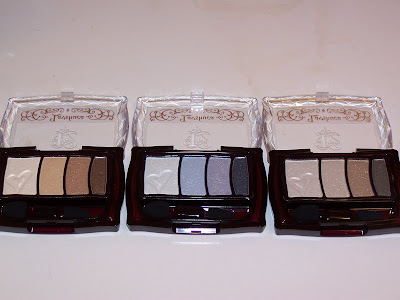 These palettes have four separate eye colors that just work. I can’t say enough about how I love palettes that have colors that just work! This is a no brainer! I don’t have to use a whole lot of imagination, I don’t have to be confused with which color would go with the other, etc…the palette has four colors and all four just work together. One fantastic thing about Japanese cosmetics is that most all brands come with a great tutorial for application so if you’re somehow confused about what color should be where have no fear there are simple instructions right on the back of the packaging or on the website that will guide your hand in perfect application using the palette (Of course the instructions are in Japanese but their is a diagram with colors labeled as 1,2,3, etc…). I believe I have all of the Eye Color Select palettes and each one is more perfect than the last! The colors are packed full of shimmer which by now is obviously something you know I love. The palettes are pigmented and the packaging is so sweet and pretty! The price is just right as well! I highly recommend nabbing these. Several shops online sell Lavshuca and the most reasonable I’ve come across would be Adam Beauty, JPmon, and Hi Japan. Palettes on these sites run from $14 USD or so. Since we are on the topic of eyeshadow we might as well discuss Lavshuca’s latest palettes the Grade Color Select. I think myself and a few others were wondering if Grade Color Select would be replacing the Eye Color Select palettes. At first it was unclear if this was a new style packaging or a new product. I’m happy to report that upon Grade Color Select’s release late this summer (for Lavshuca’s Fall Collection) that they also introduced a new Eye Color Select color which put my mind at ease that my beloved Eye Color Select palettes are here to stay (for now). Grade Color Select is not nearly as good as the Eye Color Select but in their own right they have alot going on for them! The palettes are designed a bit different in mind and possibly easier in regards to the look you’ll be accomplishing with these palettes. Basically it’s pretty mapped in which are the shadows, which is the base color, and which is the liner. 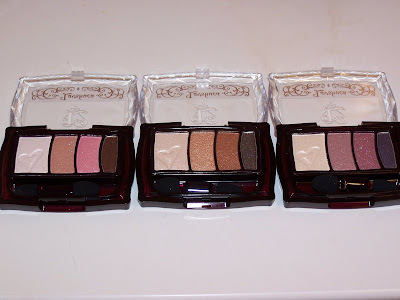 The base in these palettes is possibly my favorite item when prepping my eye area and I tend to use the base as an all over wash of color even when I am not using the rest of the colors in that particular palette! It’s a nice shimmering shade that’s perfect for highbrow highlighting and just an all over color to begin your eye look! 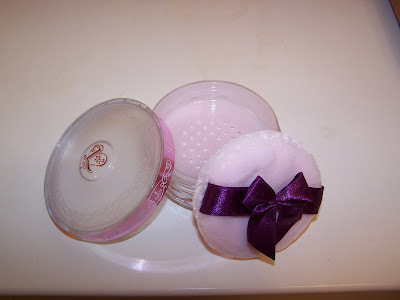 Unlike many Japanese brands, the base color, is in fact a powder and not a cream. 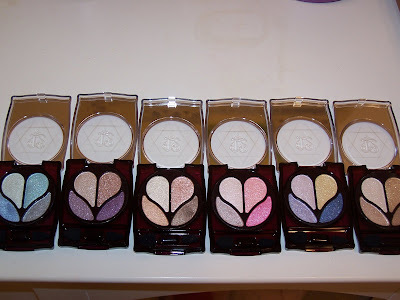 These palettes aren’t as full of shimmer as the Eye Color Select palettes not to say they don’t contain shimmer, they do, just not as much as their sister palette. The liner is pretty versatile in that it can be used as a shadow if you please. 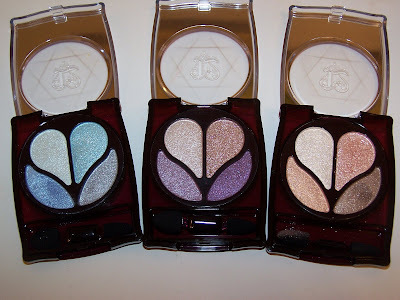 The entire palette is definately pigmented and long wearing but still I must say that the Eye Color Selects are far better in quality, pigment, and shimmer. The palette style is much more easier to work with than the Eye Color Select in my opinion. I like the straight across color design and as cute as the “flower blossom” look is on the Eye Color Select I have a bit of a hard time when working around each color. These are lined up in a neat row and make my application much easier! They are, of course, cute as pie too! I’m always in high debate with myself which design of the palettes I like more of the two and I lean slightly towards the Grade Eye Select as a favorite in style. They are smaller than a credit card and so smart and sweet to tote around for touch ups! The colors all work perfectly together. Price wise they are the same as the Eye Color Select and run from $14 USD or so! 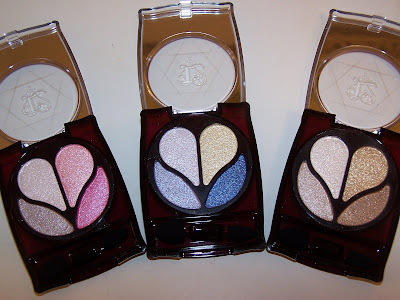 I definately recommend these but if you have to choose between the two styles of palettes my heart lays with the Eye Color Select for shimmer quality. Lavshuca makes a very cute, compact, and sweet lipstick entitled Jewel Lips. Now there are several reasons to love this great product. Believe it or not the main reason to love it would be it’s size! 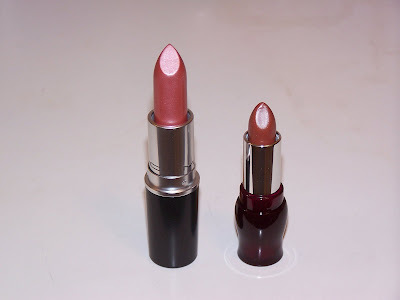 When I had purchased my very first Jewel Lipstick I had thought it was a full size product however, upon receiving it I was shocked to see it was actually a tiny, mini lipstick! Why is this exciting? 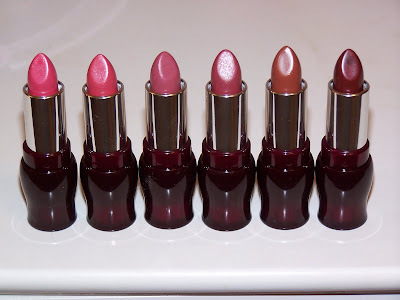 It’s exciting because I have many lipsticks and glosses in my collection and these are just the right size! Does anyone truly get through a full size lipstick? Even when my collection was far smaller than it is today I don’t think I ever got through a full size lipstick! These make for easy storage, little waste, and are just cute as a button! What more could a girl want? The colors are pretty outstanding and they go on very smoothly with plenty of moisture! There are plenty of American brands that promise moisturizing lipstick but I’ve never across one that actually came through on the claim. These go on with a slightly slick feeling, so, gloss is entirely optional as you already have a nice sheen of color! I recommend these highly if you have a rather large collection or just love cute, girlish items! 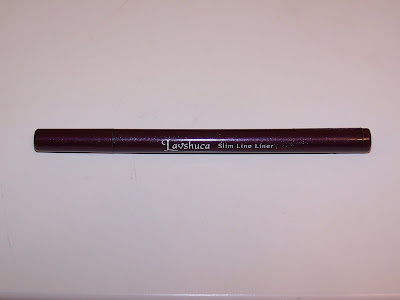 Color Conc Rouge is the next item on the Lavshuca block and it gets my poor review sadly. I so wanted to love these! Please click here to view my prior impressions of this lipgloss! 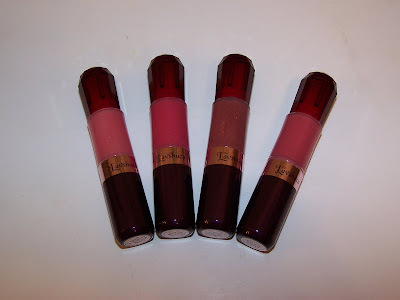 There isn’t much to say about Lavshuca’s newest gloss without rehashing what I had said in a previous review of the gloss. They are very cute in packaging but the product itself is a mystery in regards to application and getting a smooth, even look. It’s still in debate whether the formula of the gloss is at fault or the actual package design. 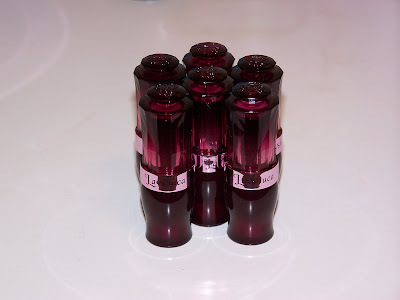 Read my prior blog to see how I felt about these glosses! I’m always on the look out for the next best thing to make my eyes pop. 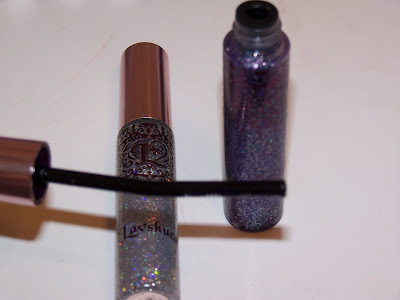 Lavshuca has a great line of glitter mascara that’s just great! 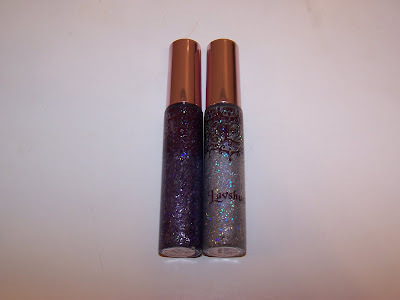 They have two colors available for these mascaras, one being a silver and the other a multicolor bluish purple color. Basically you use these on top of your regular mascara. Apply a coat of your favorite mascara, wait a sec for it to dry, and apply a coat of the Lavshuca glitter mascara. Ahhh..perfect sparkling eyelashes! The mascara basically encrusts your eyelashes with fine particles of glitter that, when caught by the light make your lashes sparkle and shine! The application is a breeze due to the nice bend in the mascara wand! Don’t be scared by this as it really doesn’t make you appear over done in any way! It’s a great product for around the holidays but it’s also equally very wearable for day to day use. Finally on our list is the Lavshuca liner. I’m not normally a big fan of liquid liner. When I wear liner it’s normally either pot form or pencil with a few rare exceptions! 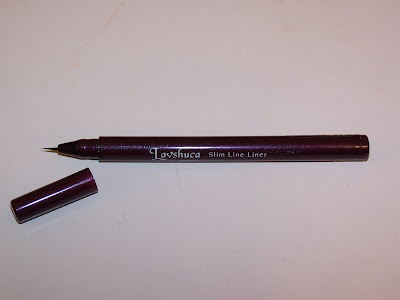 The Lavshuca liquid liner is pretty darn fantastic and personally I think it’s great for women that either are liner beginners or have a problem applying liner. The liner applicator is very, very, very thin and skinny. It’s one of the thinest applicators I’ve seen in all my cosmetic travels. Don’t let it fool you into thinking it can’t create a large line it can multitask it’s way into applying a thin line of product or a larger dramatic line. The liner is pretty much a snap to use because of it’s ultra skinny applicator in my opinion. The Muse highly recommends this for beginners and advanced users alike! 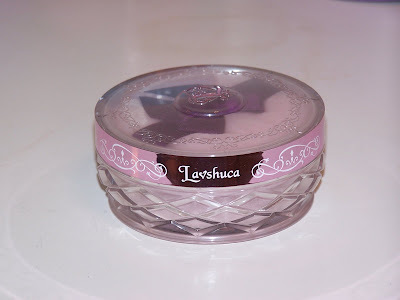 A product not featured in my video would be the Lavshuca Loose Powder. Lavshuca creates a loose powder that is similar in fashion to the Jill Stuart line! 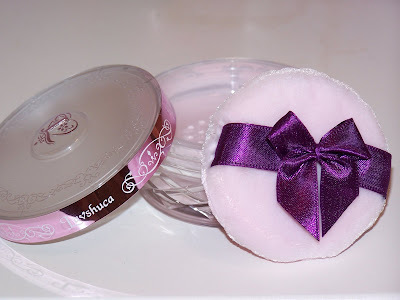 In this case it’s a sparkling loose powder with a cute ribboned puff. Pretty much on the same level as the Jill Stuart Loose Powder. It’s nothing that I don’t already have in regards to a powder but I think the packaging is ultra cute and the powder itself gives a lovely sheen to a complete makeup look! As much as I love Lavshuca it’s not without it’s flaws in my humblest opinion. One of which would be the blush. 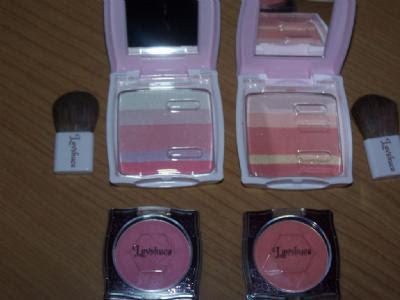 I’ve tried two styles of Lavshuca blushes one of which was the Cheek Select (no longer available) and the other would be their single blush line. Now as fantastic and wonderful as the line is they have somehow failed in the blush category. I know several people who liked both the Cheek Select and Single Blushes sadly, I can not lay claim to loving these products. 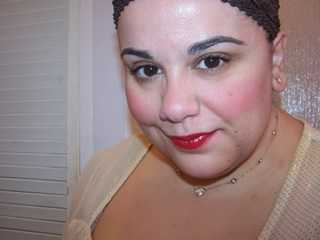 The blushes lack pigment and are far to sheer for the Muse! So one product, in my opinion, to skip, would be the blush. I hope you enjoyed learning more about this wonderful little Japanese Brand! If you have any questions do comment away! If you happen to own any of these products please let us know which and why you love them! Tomorrow I’ll be exploring a new Japanese Brand until then I bid you good night! Thanks for the great reviews of the Japanese brands! Lavshuca is one of my favorites (Lunasol is my #1 fave). I’m so glad you liked the review! 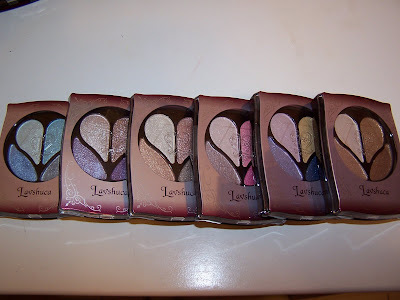 Oh ya, which are your fav Eye Color Select palettes? It seems more pigmented and shimmering than the rest! What’s your fav of the eye color selects? I only have Grade color select in PU1. *blushes* Havn’t really gone into Lavshuca yet. Can’t remember why I passed on Eye color selects though. hey!! fyi…your voice is soo cute! lol! anywho, i love this video. i tried finding your “my makeup collection” video, but could not find it. can you send me a link? are you on youtube? omg!! i’m subbed to you on youtube!! but somehow i didn’t know it was you!! thanks!! my pleasure zang, that channel is REALLY old and when I first started out in the beauty blog world!